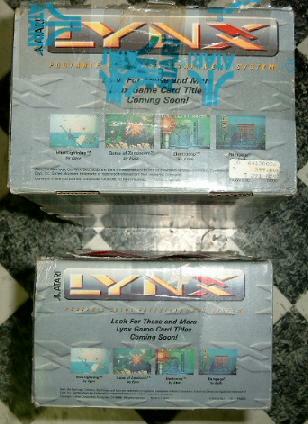 I own two different boxes for the Lynx I. Although they are of different size the artwork on them is almost the same. 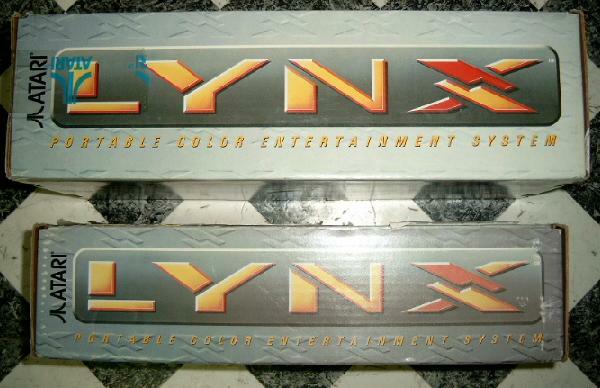 The text on both boxes is the same and in english only. 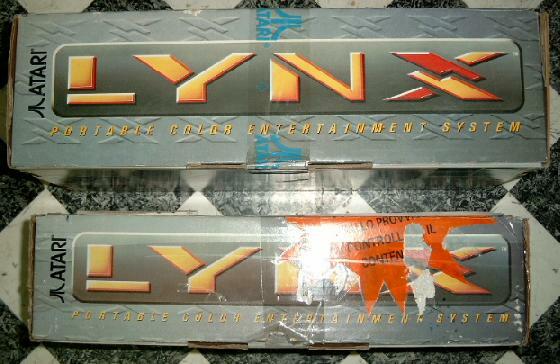 (in the last two lines some letters are missing from the label). 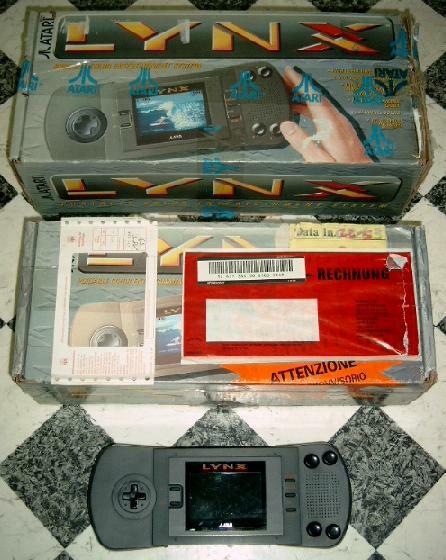 As you can see in the picture below the boxes show a different type of the Lynx I than i received (look at the thumb-pad). 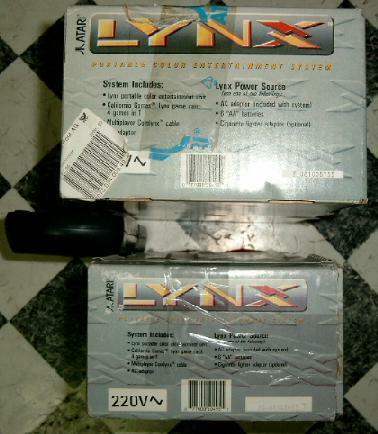 The bottom side exlains certain features of the Lynx. 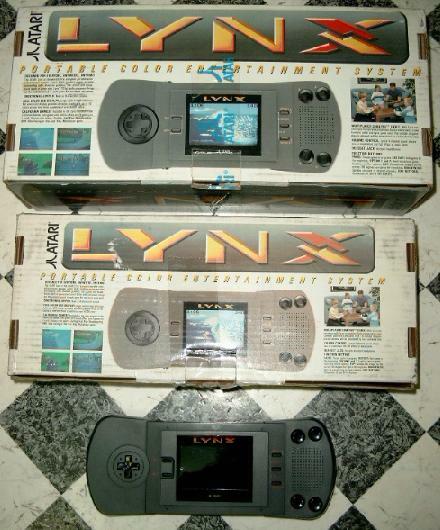 and on the right side a picture of family playing a comlynxed game is shown.